Farmersgirl Kitchen: Jam, Marmalade and Curd - what do the proposed jam regulations mean? 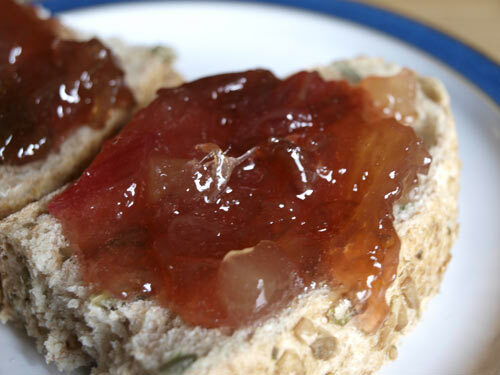 Jam, Marmalade and Curd - what do the proposed jam regulations mean? Homemade jam, marmalade and lemon curd are something that I have been brought up on. My childhood home was in the heart of the Scottish berry fields so there were raspberries and strawberries a plenty in the jam season. I have vivid memories of my gran and my mum making jam. You may recall I visited the Marmalade Awards recently with Sue from Heaven on a Plate. Sue introduced me to Vivien Lloyd who was one of the judges and it's through Vivien that I heard about the proposed changes to the regulations around preserves. Vivien has written this excelent article which I am sharing with you. If you would like to sign the e-petition you can do so here. Reduce the permitted sugar level for jams, jellies and marmalades from 60% to 55% with an ingredient specific exemption to a level of 50% for Bramley apples. The focus of my opposition to these proposed regulations is firstly, regarding the options to reduce the permitted sugar levels for jams, jellies and marmalades, and secondly, the proposed removal of the national provisions for curds and mincemeat, which as I explain later would in effect sound the death knell for curds and mincemeat as we know them. Options 1 or 2, if adopted would, over time, destroy the characteristic quality of British jams, jellies and marmalades and could potentially mislead consumers. The quality of these preserves is determined by the proportions of sugar, fruit, pectin and acid in the product. All fruits contain varying percentages of pectin, acid and fruit sugar. By reducing the percentages of total sugar content, the characteristic gel in the consistency of jams, jellies and marmalades will be lost. The result will be a homogenized, spreadable substance bearing no resemblance to the products we in England enjoy as routine. British scientists who worked at Long Ashton Agricultural Research Station at Bristol University during the 1920’s examined the shelf-life of jams and similar products. Up until then, recipes listed ingredients but not the yields. Without an expectation of specific quantities of yields, sweet preserves had an unpredictable shelf-life and frequently spoiled in storage. Knowing the expected yield allows the producer to calculate the expected final sugar content. In jams, jellies and marmalades, sugar is the principle, natural preservative. Following further research, a recommendation was made for a minimum sugar content of 60% for jams, jellies and marmalades, regardless of the type of fruit used in the recipe. This ensured a good shelf-life of at least a year. This percentage has its origins not in Brussels but in Bristol. These new regulations have been brought forward as part of the Government’s “Red Tape Challenge”- to reduce the burden of regulations on industry, particularly small and medium sized businesses. They are intending to revise the Jam and Similar Products Regulations 2003. These currently state that the percentage of soluble solids content for jams, jellies and marmalades must be 60%, unless the product is one with reduced sugar, with a permitted percentage of between 25% and 50%. The Government’s preferred option is option 1, to reduce the upper limit for jams, jellies and marmalades to 50%. This would encourage more reduced sugar products to be made, as they might be perceived as more healthy. Some jam manufacturers have urged caution with this percentage. In the Impact Assessment document for the new regulations it is cited as potentially increasing the risk of spoilage. Currently, reduced sugar products with a percentage of 25% to 50% may contain chemical additives to ensure a good shelf-life, for example Potassium sorbate, E202. At a time when public attention is being directed to the content of food, it seems inadvisable to encourage the unnecessary production of products with additives and artificial flavours. With a 60% sugar content, the colours of sweet preserves are bright and characteristic of the fruits used to make the product. A lower percentage produces products with darker, muddier colours which may affect consumer confidence in the product. 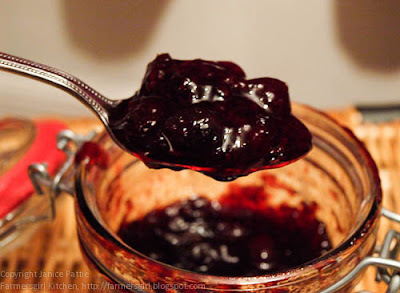 In addition, if the consistency lacks the characteristic gel and is instead more like a fruit spread or a fruit butter, consumer confidence in the properties of jam and similar products may also be lost. If option 2 is adopted the regulations will harmonise with the enforcement of the percentage of soluble solids content adopted by France and Germany at 55%.The jams produced by these countries have always been different to ours. Historically, their jams and similar products are made using different methods and these do not produce products with the characteristic gel in the consistency. In these countries, to make jams, fruit and sugar are cooked together or soaked and then cooked together. They are referred to as soft set products, with a loose, almost pouring consistency. British jams are traditionally made in two stages. The fruit is cooked either with or without water to extract any acid and pectin. Sugar is added to the cooked mixture, dissolved and then boiled to a setting point. Marmalades are made by first cooking the citrus fruit in water and then dissolving sugar into the cooked mixture and boiling it to a set. Jellies are made by cooking fruit in water and the cooked mixture is strained through a jelly bag. The residual juice is boiled with sugar to a setting point. We in Britain like our jams and marmalades traditionally made. The consumer is clearly protected by the current regulations. A product labelled as Jam must have 60% sugar and consequently should have the traditional characteristic quality of British jams. Reduced Sugar jams have to be labelled as such which should alert the consumer to the fact that it is a different product. The proposal to deregulate the provisions for curds and mincemeats, as listed in Jam and Similar Products Regulations 2003. would stimulate the creation of other products labelled as curds or mincemeat. In 2003 DEFRA asked the industry if they wanted to retain the national rules for curds and mincemeat and the overwhelming response was positive. At the time industry felt there was a need to set minimum rules to ensure the quality of these products and prevent poor quality or inferior substitutes. The 2003 Regulations include a minimum sugar content of 65% for curds and mincemeat. The rules on curds and mincemeat were notified to the European Commission as required, and there were no objections to the UK setting rules in this area. Curds and mincemeats have continued to be UK specific products. Despite this, the Impact Analysis for the new regulations suggests that deregulation of curds and mincemeat would cut red tape and industry would be free to innovate and/or reformulate providing they are not misleading the consumer. Curds and Mincemeats are uniquely British with their origins established firmly for centuries. They are not part of other European member states’ culinary culture. They are made using a small list of specific ingredients. Mincemeat has a history traceable back to the late 17th Century following Cromwell’s two year ban on Christmas festivities. After his death and once Christmas had been re-instated as a festival, the mincemeat we know today was introduced – a product with a quantity of vine fruits, sugar, citrus peel, suet or equivalent fat and optional alcohol. Fruit Curds, particularly Lemon Curd became well known in England during the late 1800’s. Recipes with eggs, butter, sugar and fruit were called “transparent puddings”. The method for storing them in jars became popular during the 19th century. Fruit Curds are an emulsion of edible fat, sugar, whole egg or egg yolks (or both) and fruit. The 2003 regulations specifies percentages of ingredients for the quantity of fat and eggs for every 1000 grams of the finished product. The quantity of fruit is sufficient to characterise the finished product. For mincemeat, the 2003 regulations specify the quantity of vine fruits, suet and citrus peel used for every 1000 grams. Curds and mincemeat must have a soluble dry matter of 65% unless they are reduced sugar products. Any product lower than 65% should be labelled “low sugar substitute”. Interest has been expressed by a group of artisan producers to apply for Traditional Speciality Guaranteed (TGI) for Lemon Curd and Mincemeat. Deregulation would stimulate the introduction of products materially different from current definitions of curds and mincemeat. There is no case to deregulate curds and mincemeat. You can take part in the consultation until 22nd May, 2013.